Okay, so today we’re going to sit back from all the posts regarding Steve Jobs and get back to business. Anyway, Apple is back in business and its operations have returned to its normal state. Steve Jobs might be gone, but the world doesn’t have any choice but to continue revolving without him. Aside from the death of Steve Jobs which literally shook the company, Apple is also undergoing other major problems. We have already posted in this blog in the past, countless times regarding Apple‘s legal battles against other companies that they deem to have infringed their patents. Basically there are three companies involved. There’s Samsung, Motorola, and HTC Android. 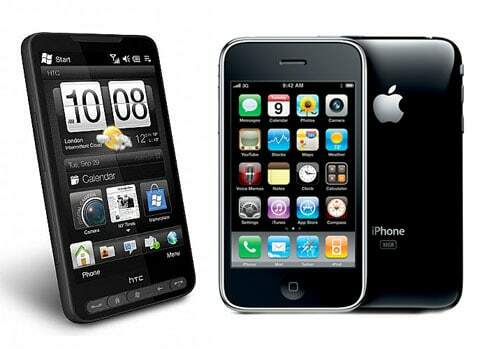 If you may have noticed all of these companies sell gadgets that have close resemblance to Apple’s iDevices. The only things that differ are their prices, given that almost all of their products are cheaper. Of course, we’re not only talking about Apple losing its pride on claiming what is rightfully theirs, but they are also losing big time profit from the competition. We can safely say that because of Apple’s focus on the quality of their products, there gadgets have been seriously expensive these past few launches, and with every launch their gadgets are becoming more and more pricey. Even Europeans are protesting with the ridiculous fees already. Hence, if Apple could just crush the competition out and let the people realize, that ‘hey, we’re the good guys here’ then maybe they’re not going to lose some surveys ever again. What does this legal battle mean to their competition if it means so much for Apple? To get the long story short, we’re talking about billions of dollars here. Take HTC for example. HTC is going to lose a serious amount of profit if they’re not careful in the future. The US International Trade Commission has just recently launched a statement in Apple’s favor stating that HTC are infringing on two of Apple’s patents. With this, there is a possibility that the import of their products in US would stop, and the US market is no joke. It is a very competitive but profitable market. The ITC though also released a statement that they’re going to let both parties make their own statements regarding their contributions to the community as well as the probable effects of the ITC decision to the public interest if ever either of them wins in this legal battle. There’s one thing though, if HTC did in fact, infringe on Apple’s patents then they should pay for it, regardless of its effects to the public or not. Stealing is still stealing. The end would not justify the means. Letting HTC go without a scratch is a big disrespect on all of Steve Jobs’ hard work throughout his life. It’s an insult, and it’s just unthinkable. Apple fans could sleep soundly tonight for now, because Apple is winning this battle little by little. Let’s watch out for other updates regarding the war between HTC and Apple, as well as its other legal battles with other companies.